As different types of hard flooring become more and more popular, the power a good rug has to set the tone for a room should not be underestimated. During the cooler months, changing a rug can be an easy way to take your space from bright and stimulating to warm and cozy. Ready to change things up in your home with a new rug? Here is our list of fall and winter rug trends that will take you through fall and into winter. Navy blue is showing up in a variety of ways this year and will likely continue to be a significant trend in 2019. The best part about this versatile shade is that incorporating it into any space or design plan is fairly easy. Navy actually works beautifully as a neutral color. Try adding a navy blue rug along with a few brushed gold accent pieces to create a classic and elegant aesthetic in your space. This shade of blue works well if you want to add some drama to your space without being over the top. Geometric patterns have made an appearance in a big way this year in the interior design world. Incorporating a geometric rug is an easy and affordable way to add visual interest and comfort to any room. Often having neutral colors as a base, accompanied by thinly outlined geometric shapes, give a modern and trendy appearance that can eaily liven up a large space. Speaking of geometric patterns, one of the most unique and popular ways these patterns are being used in the world of rugs is in conjunction with Marrakesh shag. Marrakesh shag has a longer pile and lends a cozy and warm aesthetic to spacious rooms. With a longer pile and geometric pattern, a modern look is achieved that can be translated in a variety of different colors, depending on your interior design taste. If you’re looking for a more bohemian look, Marrakesh shag can help you get there in a way that is still soft and subtle. Marrakesh shag with a geometric pattern is definitely one of the most exciting and versatile fall and winter rug trends for the 2018/2019 season. We’ve talked a lot about using rugs as accent pieces—but what about large area rugs? This isn’t really a new trend, but there’s something transformational about hard flooring being accompanied by a rug that almost takes up the entire space. A large area rug is s great option for people who want the warm softness of wall to wall carpeting without the commitment. Adding an attractive rug is an easy way to give any space an updated look. 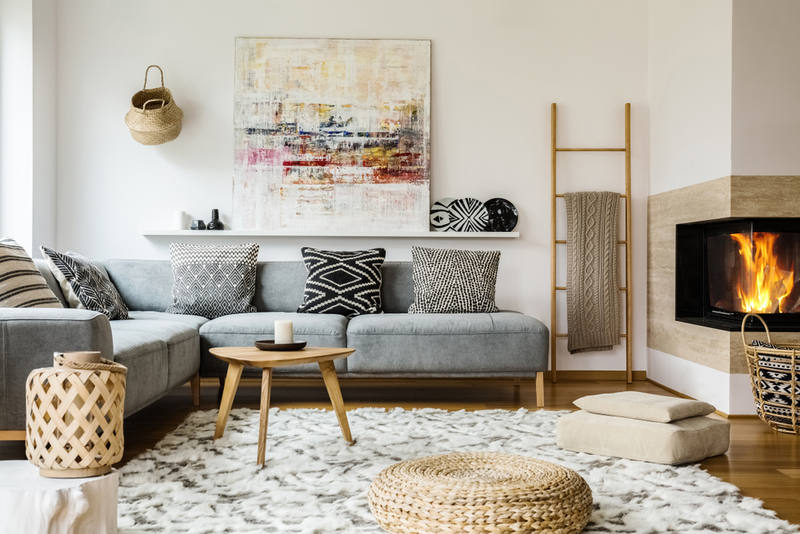 Whether your style is trendy and modern or classic and cozy, there is a rug out there that will work perfectly with your interior design plan. At Carpet Direct, we turn to SURYA’s home decor line to offer a wide variety of on-trend, affordable rugs to our clients. Looking to Update Your Space? 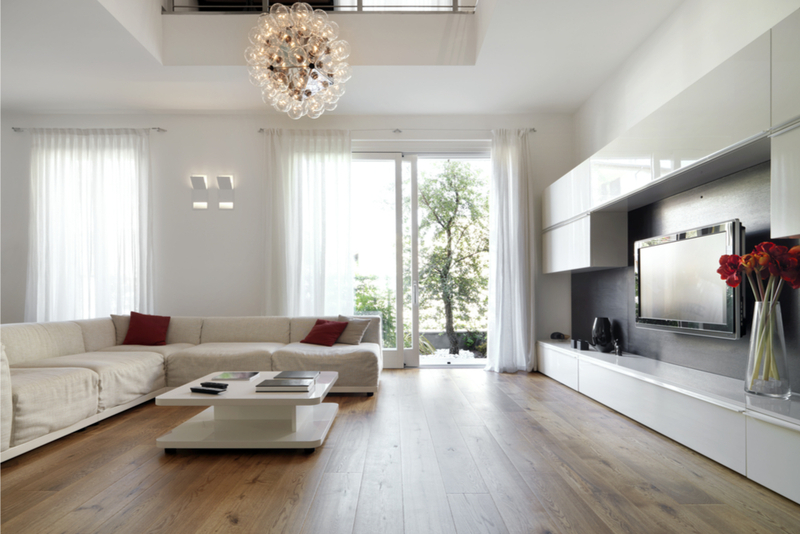 Every year we see new flooring trends hit the market. 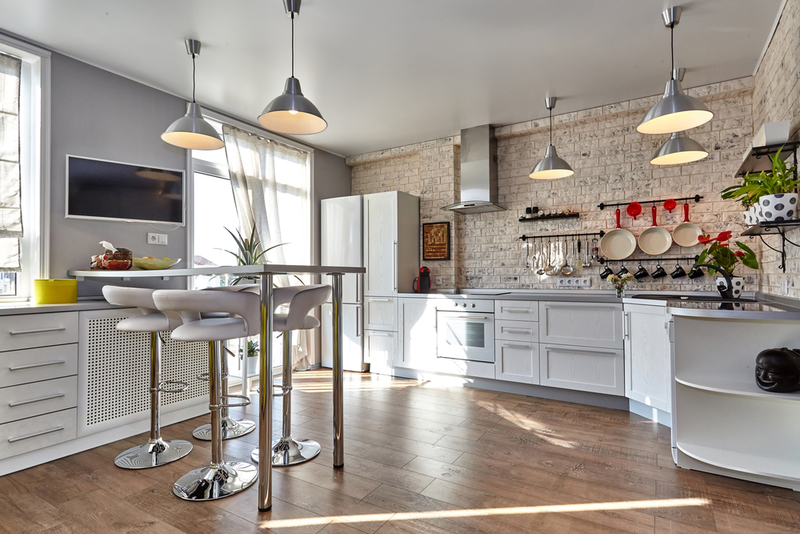 Here is what we think will be a hit in the flooring world in 2019.